Nicholas “Nick” Adams is a percussionist and bandleader from Maple Grove, Minnesota. In addition to fronting the youth jazz-fusion powerhouse Liquid Vinyl, he has developed a reputation through his extensive experience as a sideman. A former student at Totino-Grace High School, where he participated fully in a wide variety of musical activities, Adams now attends the School of Music at the University of Minnesota. Adams got his first drum set at the age of two, and started taking lessons when he was four. 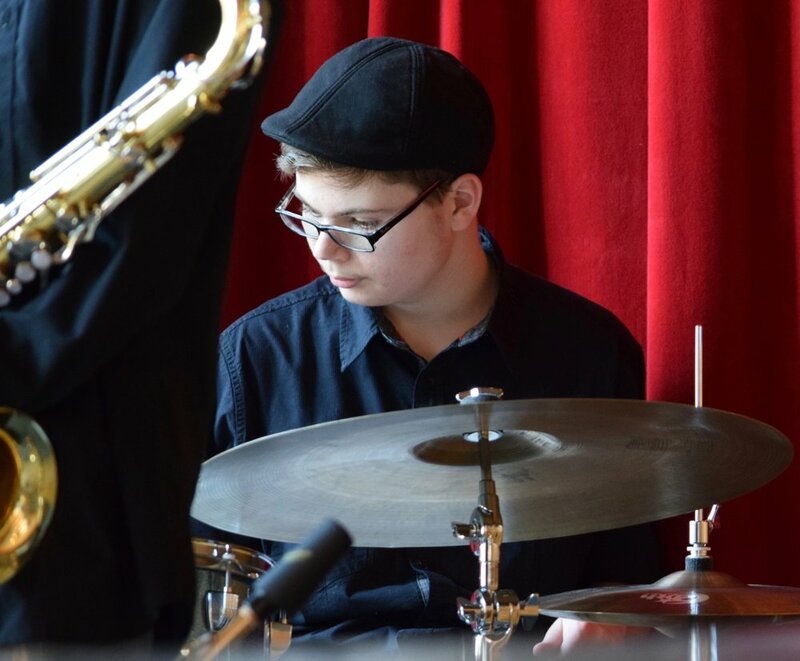 He has studied with some of the finest musicians in the midwest, including Robert Adney (South Dakota Symphony), Steve Roehm (The New Standards), and Phil Hey (Phil Hey Quartet). In 2014, Adams became a founding member of Below Zero, along with bassist Jorgen Linné and trombonist Jacob Rochell-Share. After a short time, pianist August McKinney and saxophonist Noah Willhite joined the group. That core quintet performed across the Twin Cities regularly for over three years. In 2018, the group decided to suspend activity in order for each to pursue additional opportunities. The rhythm section intends to continue as a trio. Adams created Liquid Vinyl in the summer of 2016, and the group performed on the main stage for the 2018 Twin Cities Jazz Festival. Besides music, Adams enjoys philosophy, video games, science fiction movies, and books by his favorite authors, J. R. R. Tolkien and Timothy Zahn.